We rely on volunteers to assist with many different aspects of our organization. There are plenty of opportunities to get involved at a variety of different times and in many different ways. Please take a look at our opportunities to determine what works best for your schedule. 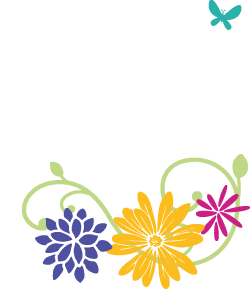 We look forward to using your time and talents to help inspire girls to be joyful, healthy and confident! Coaching a Girls on the Run program is the most rewarding way to get involved. Volunteer Coaches serve as role models and mentors for the girls who participate in our program. At each program location, 2-5 coaches deliver the GOTR curriculum, twice a week for 75-90 minute sessions to groups of 8-15 girls. Coaches are not required to be runners; they simply must be passionate about the mission of Girls on the Run, committed to working with a group of girls throughout the season and able to bring energy and joy to each practice. More information on coach requirements can be found in the Coaches Corner section to the left. As a growing organization, we often need help with administrative and community outreach tasks. Examples include: helping assemble program materials, helping with data entry or office organization, serving as a Running Buddy, or staffing a water station at a 5k. These are great opportunities for those who are not able to commit to coaching or regular committee meetings, but still want to support the Girls on the Run program. Please fill out the form below and we will contact you with more information. 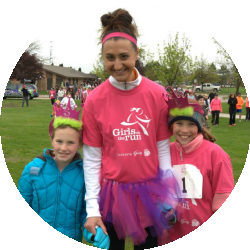 Thank you for your interest in volunteering with Girls on the Run Saginaw Bay! If you're interested in volunteering for Girls on the Run, please fill out this form and we will contact you with more information. Thank you for your interest in Girls on the Run! How did you hear about Girls on the Run? In which areas of Girls on the Run are you interested in volunteering?